Wear of the Week: Vote! Thank you for checking in this week. 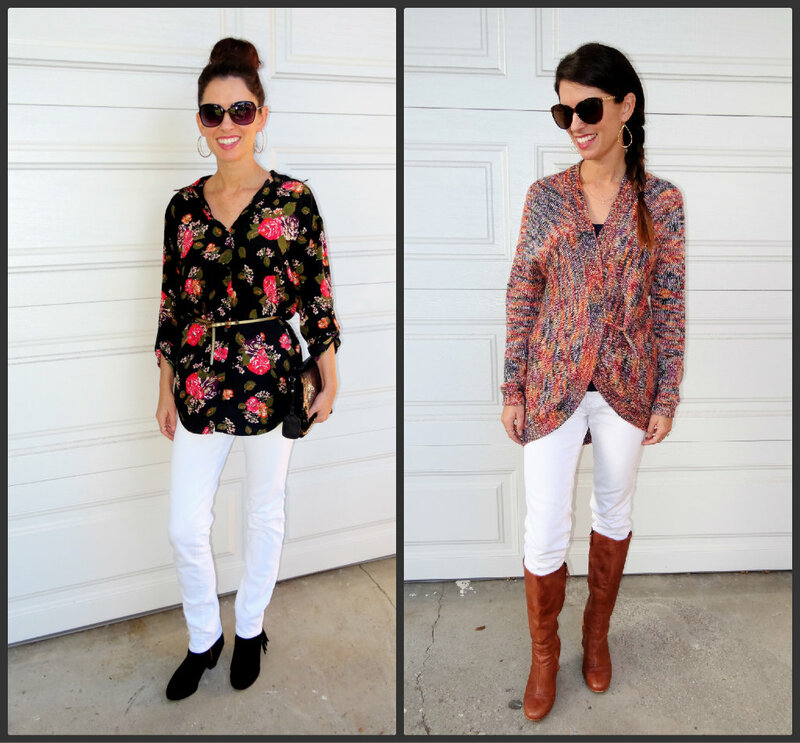 I had fun styling white pants for fall and loved seeing all your feedback. Please take a moment to let me know which look this week was your favorite! This entry was posted in Uncategorized, Wear of the Week and tagged fall fashion, fashion, FASHION BLOG, Friday, natalie's style nook, ootd, Outfit of the Day, style blog, white pants for fall. Bookmark the permalink. My fave look is the chunky sweater and white pants. LOVE the multicolours in the sweater.Where did you get it?